This new collection of rare and previously unreleased recordings marks a special anniversary for Chris’s record label, Signature Sounds. The western Massachusetts label has released over 80 albums in the past decade and this one rounds up some of the best tracks that never made it onto an album. 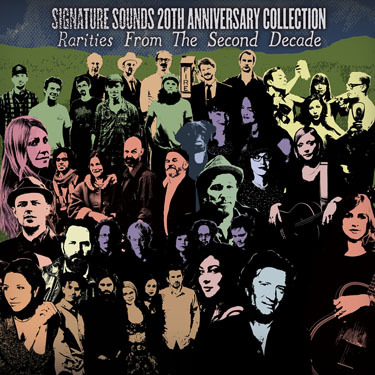 And it turns out that the Signature Sounds vaults were full of some amazing performances, including a rare alternate version of the title track from Chris’s 1999 album, Drive You Home Again, which is featured here alongside other great rarities from artists like Crooked Still, Jeffrey Foucault, Lake Street Dive, Kris Delmhorst, Peter Mulvey, and many others.